You shuffle through your mail and there’s a letter from the IRS. Instinctively, you want to treat it like toxic waste — hide it and hope it goes away or hire the first person you find who promises to clean it up. It’s important to get past that first moment of anxiety and think logically. Predatory tax resolution companies, and there are more than a few, turn that fear into a tidy profit. Here’s how not to be suckered. First, take a look at what the IRS wants from you. In the best possible case, it may only want some information that it believes is missing from your return. The next level is that it believes you have miscalculated your return and have underpaid. Then there are the higher levels that include penalties and audits. Here’s a link to the types of IRS notices: https://www.irs.gov/uac/newsroom/ten-things-to-know-about-irs-notices-and-letters. 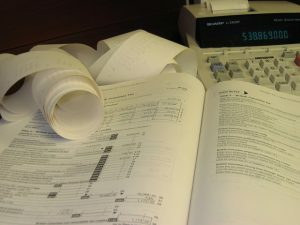 In most cases, you or your tax preparer can take care of less severe problems. When it comes to more complex and more expensive issues, you might want to seek help. Should you decide to hire a tax resolution company, make sure you do your research. First, do what we all do when we want to know about something. Google them. Look for customer reviews because people who’ve had a bad experience tend to share. Then, talk with the company. Check the length of time they’ve been in business. Ask about the credentials of the person you’ll be working with, and ask to speak with them (some firms have an enrolled agent on staff). Find out what part you will need to play in the process. Ask about how much money you’ll have to pay up front and whether there are circumstances in which you’ll be charged more. Find out what you can expect from them. A good resolution firm will tell you the areas of a specialization of its agents and the financial information that you’ll have to provide. At the end, you should at least have a plan of action that you feel comfortable with. The solution should be future-focused as well as present-focused. A resolution should not just make your current problem go away, it should lay out actions you can take in the future to avoid running into this problem again. Err on the side of caution. If it feels wrong to you, there’s always another firm. Finally, there are some phrases and actions that should set off alarm bells when you’re doing your investigation. The most common one is that you’ll be able to settle for “pennies on the dollar.” The IRS is not that generous. While there are some “Offer in Compromise” situations that can reduce your tax bill, the statistics say it’s unlikely. The IRS accepts less than 15 percent of all OIC offers. Be wary of “guaranteed results.” Each taxpayer’s situation is unique. And the IRS is not always predictable. No firm can guarantee you results. Steer clear of anyone using high-pressure sales tactics. A reputable firm will understand that you need to consider your options. This entry was posted in Blog, Taxes and tagged Tax Resolution, Tax Resolution Companies on August 19, 2016 by Diana Sheltra.